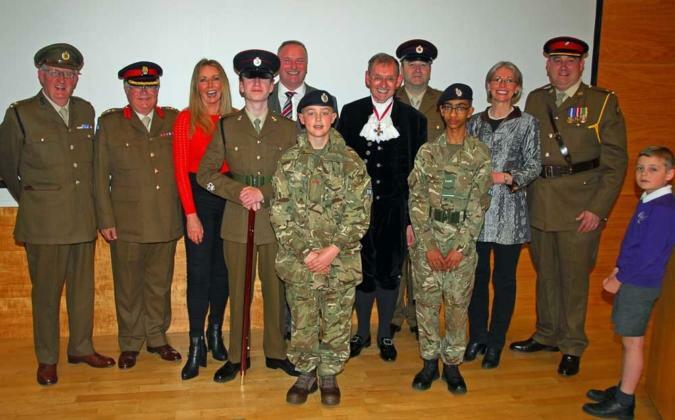 Dr Andrew Harter CBE DL, The High Sheriff of Cambridgeshire (until 20th March) invited various charities and youth groups including Cambridgeshire Army Cadet Force to nominate projects for funds from the High Sheriff’s Award Fund. To undertake a new CD recording of the Corps and the purchase of a new side drum and electronic organ. The purchase of a new 12 and 20 gauge shot gun to allow the entry into national competitions. 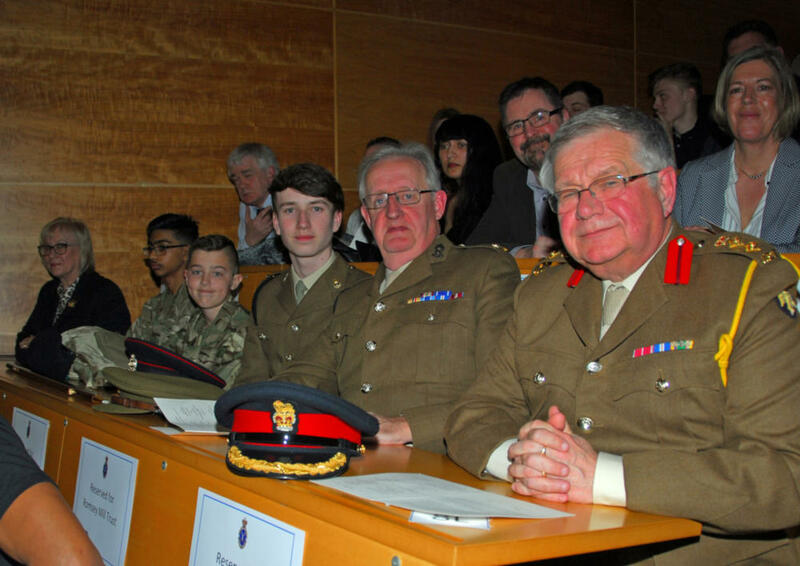 On 19th March we were invited to attend the High Sheriff’s Award evening to hear if we were successful in being award a grant. Well good news we have been successful! 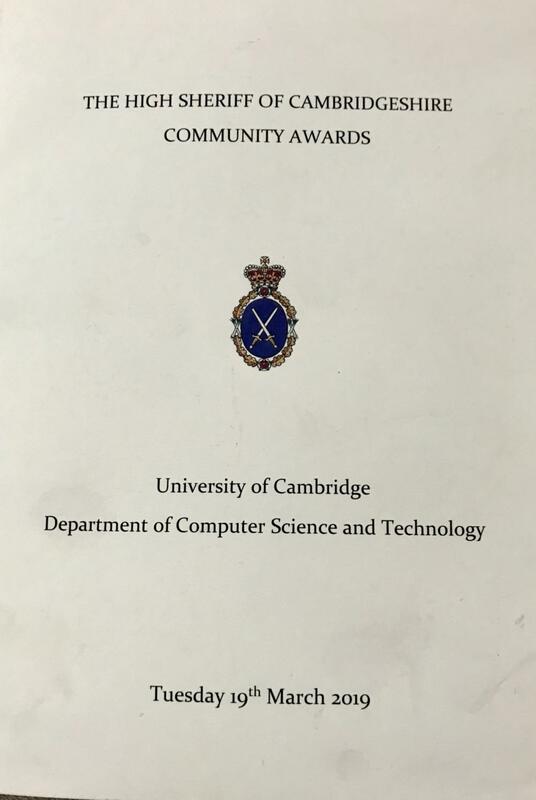 The evening was held at the University of Cambridge and attended by over 300 guests inc charities and youth groups all eager to see hear the news. 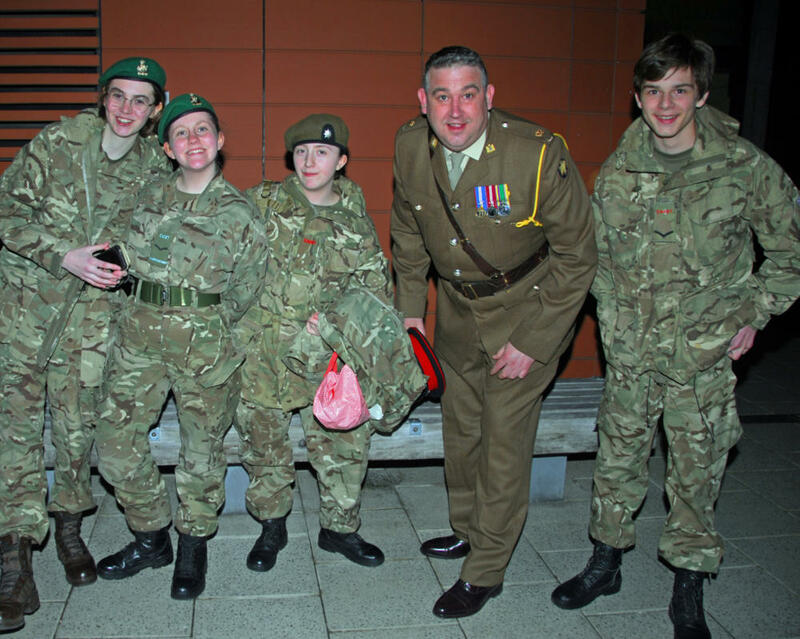 Cadets from No2 Company supported the event by providing car par and guides for the guests. The event was hosted by TV presenter Carol Vorderman MBE. 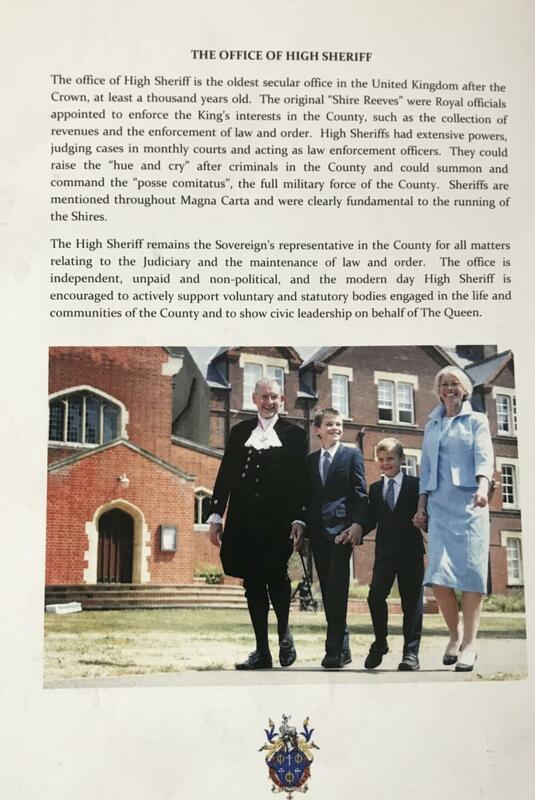 On 20th March Dr Any Harter, CBE DL steps down after completing his year in office as the High Sheriff to make way for His Honour Neil McKittrick DL. 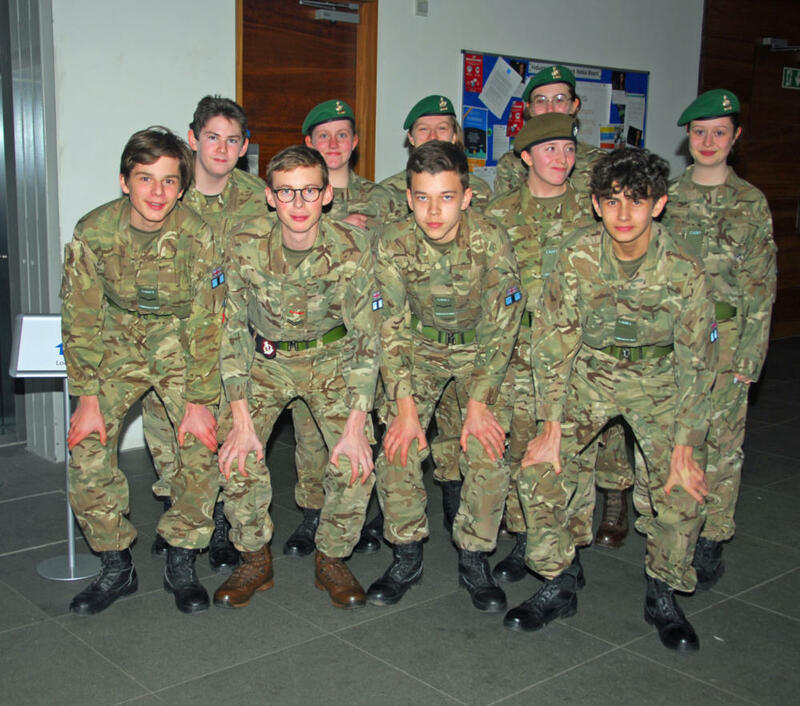 Cambridgeshire ACF will support the incoming High Sheriff during his term and provide four Cadets as High Sheriff Cadets. More will follow in due course on these appointments.